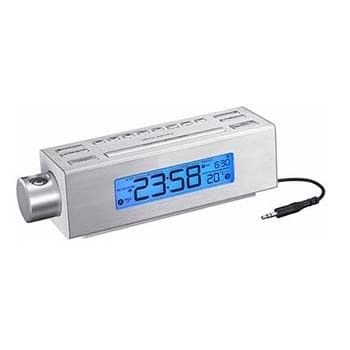 This new digital clock, perfectly working, includes a high definition IP camera as well as a recording system able to record any environmental sounds. Thus it is perfetct to remotely transmit/recordi mages or sounds, using a WiFi network. Let's imagine you want to monitor your apartment, or your office, without arounding suspicion. From now on you can do it, thanks to our IP-Watch A/V monitoring kit! This kit is able, in fact, to set, modify and start shooting by the Internet, both from a PC and a smartphone, by means of dedicated interface software. Besides video footage, our IP-WATCH allows you to record and store full movies on SD card. It has as well a motion detection function, thanks to which you will be able to start shooting only when the system detects movements within the area to be monitored. Our support doesn't end after the purchase. Our technicians will be at your disposal at all times for the resolution of any problems or explanations, recommending the installation and the use of the product.